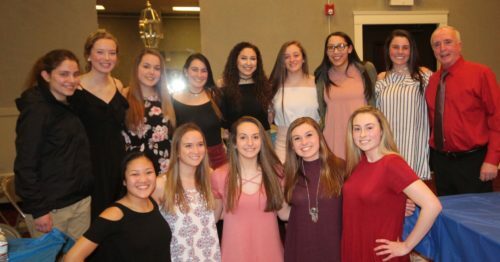 During his address Monday night at the annual Peabody High School girls’ basketball banquet, varsity head coach Stan McKeen noted that the program as a whole finished with a win-loss record of 30-22. The gathering at the Knights of Columbus Hall responded with applause knowing that the future looks promising for the Tanner girls, whose junior varsity and freshmen squads produced a combined 22-10 mark. McKeen’s varsity unit struggled through an 8-12 season and missed the playoffs. He acknowledged that a less-than-auspicious start put Peabody in a tough position out of the gate. 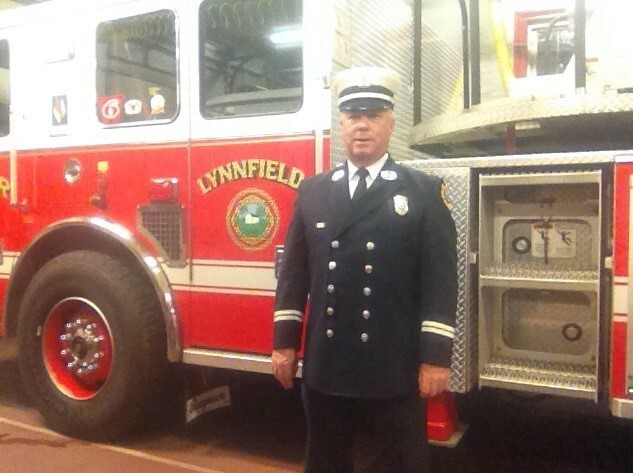 McKeen added that his Tanners competed well in the Northeastern Conference (NEC), going 8-7 and losing two games they could have won – an overtime defeat to Everett and a disappointing loss to Somerville after jumping out to a big lead early. Had they been able to emerge victorious in those two contests, the Tanners would have qualified for the playoffs. A difficult non-league schedule and 0-5 finish in those games didn’t help either, as Peabody had to tangle with the likes of area powerhouses Masconomet, Newburyport, Woburn and Chelmsford. 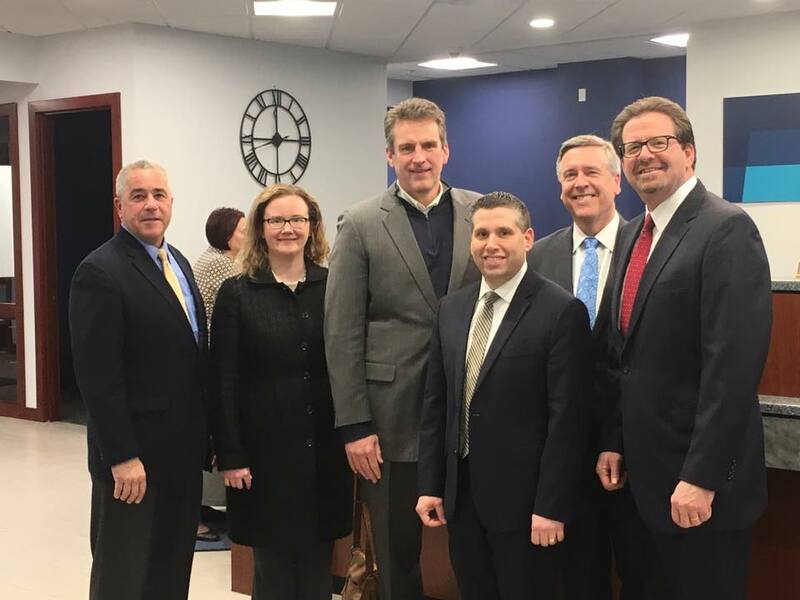 “[NEC foe] Danvers turned out to have the best team they’ve had in years,” said McKeen, referring to some of the tougher conference competition. Chief among the award winners was junior forward Catherine Manning, who received the Most Valuable Player honor, McKeen pointed out that Manning was named to both the Salem News and NEC all-star teams and that she averaged 11.4 points and over 13 rebounds per game. Manning’s highest single-game point total was 24 and she shot close to 70 percent from the foul line. “I know she got frustrated at times but she had a phenomenal season, and she had a lot to do with our eight wins,” McKeen said of Manning’s efforts. Seniors Serena Laro and Jordan Muse received Coaches Awards. McKeen said Laro “set a good example for the younger players” and was an honorable mention for the Salem News all-star squad. She had a single-game high of 18 points. Muse was the team’s best ballhandler and ran the offense. She averaged over six points a game and led the team in three-pointers with 13. Junior Kristina Rossignoll was given the Wiggin Award, named in memory of late City Councilman Frank Wiggin, whose life epitomized community service. Rossignoll had a grade point average of 3.63 and is the first junior to ever receive the award. Rossignoll was also selected as next year’s captain alongside Manning. Other varsity players recognized were Alyssa Saraceni, Emily Carney, Georgia Leon, Jonalyn Carpenter, Colleen Crotty, Brooke Hodas, Liz Zaiter, Amber Kiricoples, and Heavenly Porcher. 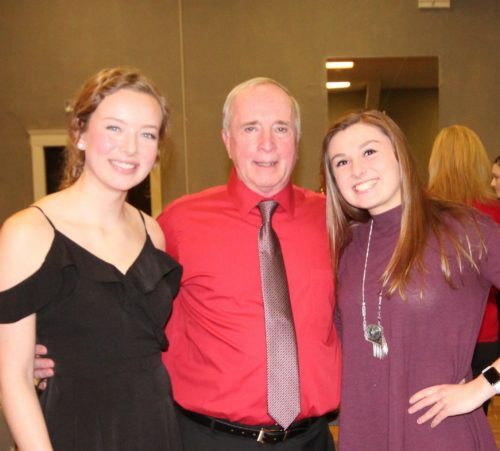 Next year’s team captains Catherine Manning and Kristina Rossignoll with head coach Stan McKeen. Junior varsity head coach Tracey Palazzola said her team was quiet in terms of its personality but was “truly unselfish and cared about getting better.” The Tanner JVs battled to a 13-5 finish. Palazzola said the team’s defense was strong all year, allowing an average of 25 points a game. “We also held teams to 15 points or less six times,” she noted. 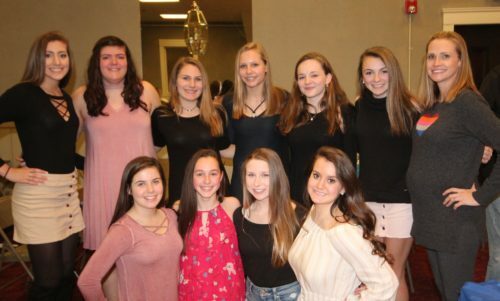 JV players recognized were Hailee Lomasney, Hailey Baker, Kaitlin Gorman, Victoria Balke, Julia McGrath, Julianna Cimino, Kayla Bonfanti, Jordyn Collins, Danielle Diantgikis, Aja Alimonti, Haley Lindstrom, and Abby Ryder. Freshmen head coach Joy Wallace said her team’s 9-5 record was well-earned given “one of the toughest schedules we’ve played since I’ve been here.” Players recognized were Lizzy Hart, Scarlette Hernandez, Emma Darling, Aaliyah Alleyne, Olivia LaValle, Maggie Brennan, Lexi Mello, and Stephanie Guglielmo. Peabody girls’ junior varsity team honorees: Front row (left to right) – Hailee Lomasney, Hailey Baker, Kaitlin Gorman, and Victoria Balke. Back row (left to right) – Julia McGrath, Julianna Cimino, Kayla Bonfanti, Jordyn Collins, Danielle Diantgikis, and Aja Alimonti, with head coach Tracey Palazzola. Not pictured: Haley Lindstrom and Abby Ryder. Peabody girls’ freshmen team honorees (left to right): Lizzy Hart, Scarlette Hernandez, Emma Darling, Aaliyah Alleyne, Olivia LaValle, Maggie Brennan, Lexi Mello, and Stephanie Guglielmo, with head coach Joy Wallace.